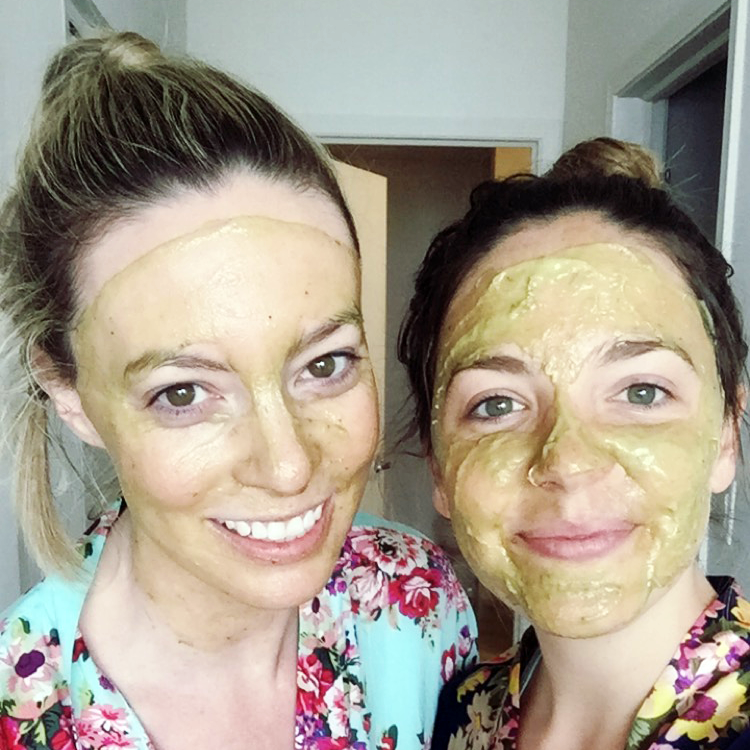 My mom is one hard-working woman, so my sister, Jenna, and I wanted to create the perfect retreat, totally focused on self care for our mom who rarely finds time for herself. After a busy weekend, our goal was to provide an uber-relaxing Sunday at home with the family. 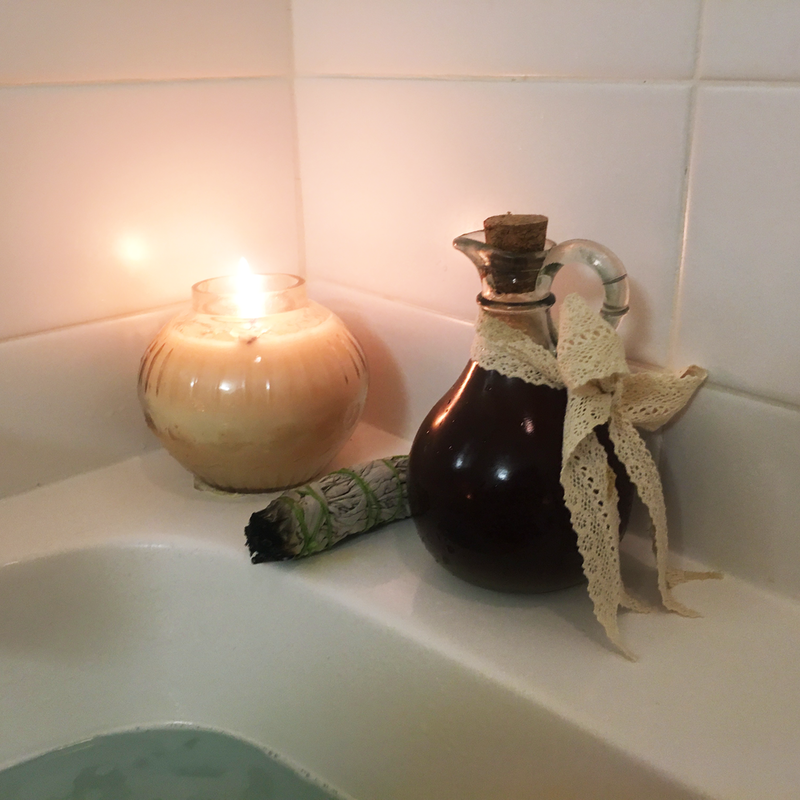 Whether you’re planning a girls night in or just looking for some solo self-care and relaxation, a DIY spa day is the perfect remedy for some much-needed R&R. If you’re the kind of person who wants to journal but stares blankly at a white page, or if you struggle to find the time to put your thoughts on paper, we found just the thing! We love this journal because it gives you bite-sized writing prompts followed by actionable steps to take on a more balanced and fulfilling life. We created a little agenda for the day to set the tone and give everyone an idea of the activities we had planned. We wanted the experience to feel authentic, as if we were at a real spa somewhere. We looked into going to one of those “sip and paint” classes but thought why not do this in our own home? Which turned out to be the best decision! It was so much fun to put down some newspaper, roll up our sleeves and free paint or color. This was the part of our spa day our whole family could enjoy, and even my brother pulled out a paintbrush. We had lots of laughs as he painted a character he had dreamt up as a child called “Dog Man”, and my mom was able to decompress from a long work week over the therapeutic activity of a coloring book. Blend everything (except the cucumbers) and apply. Looking like the Wicked Witches of the East, we moved on to the very best part! I had seen so many beautiful photos of flower baths, I couldn’t wait to make one of my own! As the tub filled up, we threw in the blooms of gerber daisies, the petals of spray roses and irises, and a sliced grapefruit. A lantern and candles illuminated the space, and we even played some soothing tunes from a speaker for ultimate relaxation (check out the Butter playlist on spotify). Then, we left my mom to it while Jenna and I were left to fend for our green-faced selves. We left a homemade bottle of Rose Water and Lavender Bubble Bath for an extra scent-ual soak. This recipe is compliments of The Lady Slipper, but I adjusted the ingredients to make 2 bottles. 1. Gather 4-7 fresh roses, pluck each petal off carefully and place into large pot. 2. Cover rose petals with filtered water, enough to cover the petals. 3. Bring to a boil, gently press petals down with a wooden spoon to release their pigment until petals lose most of their color. 4. Place lid on pot and simmer on low. 5. Once petals are saturated and the water is colorful, use a strainer to strain petals. Discarding petals and keeping rose water. 6. In a separate bowl, pour in the pure castile soap. 8. Pour carefully into glass bottles or mason jars and let cool. Put your feet up and enjoy, zistas! You deserve it.